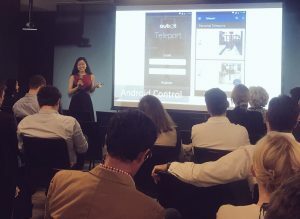 For the past 4 months, from 3 April – 31 July, aubot participated in the Remarkable Accelerator program. Remarkable harnesses technology to build social and economic inclusion of people with disability. The Remarkable Accelerator program was created to encourage and foster technology companies in the disability space. It was great to learn from and with other disability technology companies in Australia for the past few months! Here are some photos from the final demonstration night in Sydney.